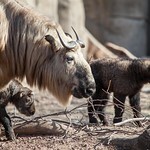 A large goat antelope, the Sichuan takin can reach four feet in height and weighs in at an average of 600 pounds. Both males and females have thick, curled horns that extend back above the head. The species' thick blonde coat is thought to have inspired the legend of Jason and the Golden Fleece. 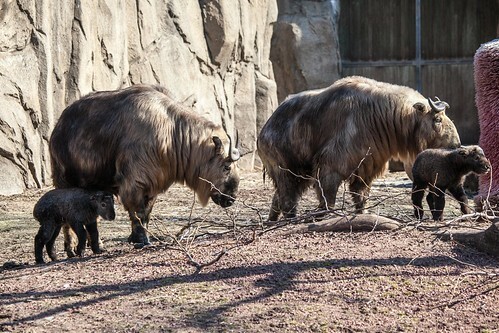 The Sichuan takin is found in China and bordering mountainous regions. 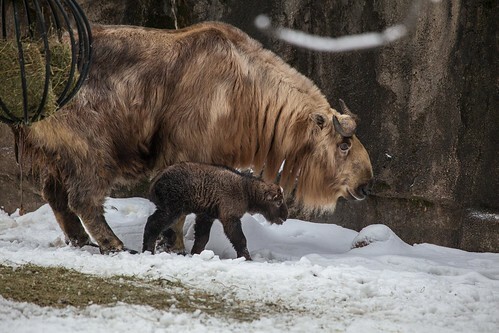 Sichuan takin are classified as vulnerable. Hunting and habitat loss are among the factors that impact the species. 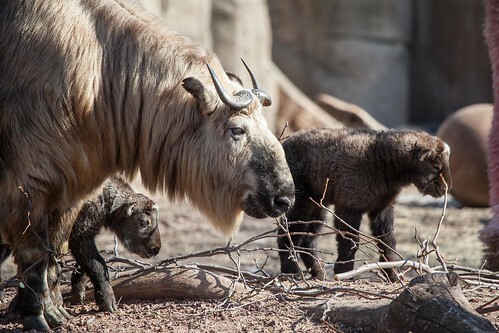 Lincoln Park Zoo participates in the Sichuan Takin Species Survival Plan®, a shared conservation effort by zoos throughout the Association of Zoos and Aquariums. A strong climber, this herd species makes its home at elevations ranging from 4,000-14,000 feet. The terrain it inhabits can range from alpine forest to barren grasslands above the tree line. 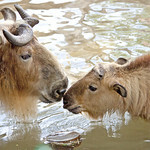 An herbivorous mammal, Sichuan takin live in herds that can range from 200 to 300 individuals. The species migrates to higher elevations during summer and returns to lower elevations as winter descends. 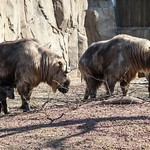 Their diet includes shrubs, grasses and herbs. 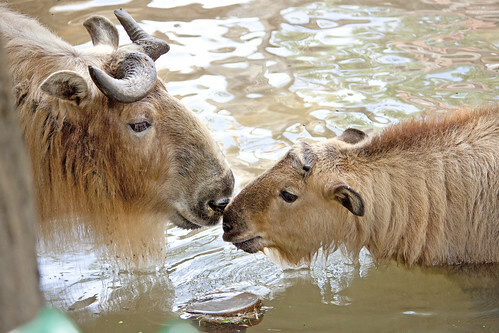 Sichuan takin mate during July and August, and females give birth after a gestation period of seven-eight months. 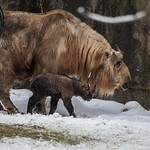 The Sichuan takin's tough, flexible hoofs provide a good grip when the oxen climbs in its mountainous home.